This is a signed edition with limited copies available. Markus Zusak is the author of six books, including The Book Thief, which spent more than a decade on the New York Times bestseller list, and has been translated into more than forty languages. Zusak’s books The Underdog, Fighting Ruben Wolfe, Getting the Girl, I Am the Messenger, and The Book Thief have received numerous honors including literary prizes and readers’ choice awards. In 2013, The Book Thief was adapted to film by Twentieth Century Fox. 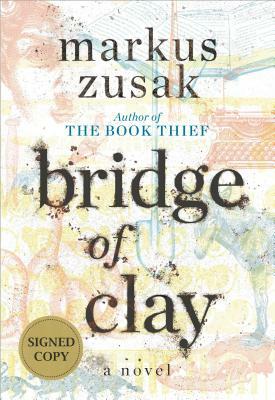 In 2014, Zusak received the American Library Association’s Margaret Edwards Award, for his body of work.